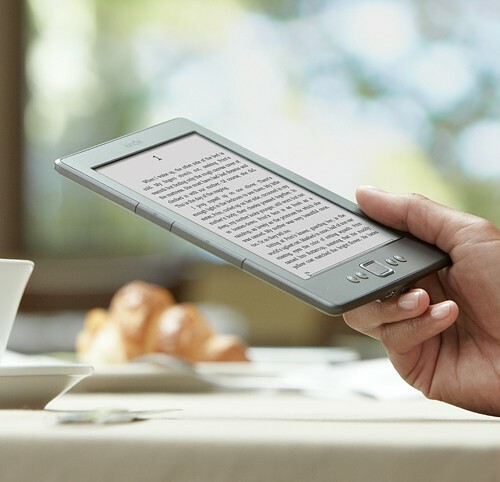 Some people are always a bit surprised to discover that I don’t have a Kindle *, given that we are a household of “technology enthusiasts” and I am such a massive fan of reading. 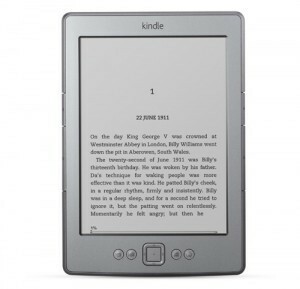 I have to admit that although I love my iPad & iPhone 4S I would love to have an E ink e-book reader like the Kindle as it is so much lighter than a multi use tablet/phone device, and a little bit easier on the eyes than a LCD screen – which is important for me as I am prone to headaches, though not as bad as before I had the baby. Also, this summer I plan to be out & about with Georgie a lot on fine days, and it would be great to be able to have a kindle with me for picnics in the park – the one thing I find difficult with my iPad is that the screen glare can be very bad in direct sunlight, and you have to be careful to position yourself with your back to the sun in order to be able to see the screen well enough. I was playing with a Kindle yesterday in the Currys PC World Megastore after we bought Georgie her first pair of shoes next door at Mothercare World (James was busy drooling over the laptops and spending my self-employed earnings in his head), and enjoyed the demo guide they had on the device. I can see how a few things could be a bit annoying after having used the iPad, but I could always switch between reading on the two devices if need be! I was impressed at how much lighter the new Kindle 4 is in comparison to the keyboard model, which they also had in stock. There is a glimmer of hope surrounding today’s wish list item, as James got an unexpected bonus from his work, mine was higher than expected, and I’ve got an urgent web job to do this week… so we might be getting one of these gems to share sometime soon, as a treat to ourselves! Of course, now I can start researching cases and accessories instead of just eyeing other people’s kindles jealously. I quite like this Forefront case * with its built-in light to help you read in bed!